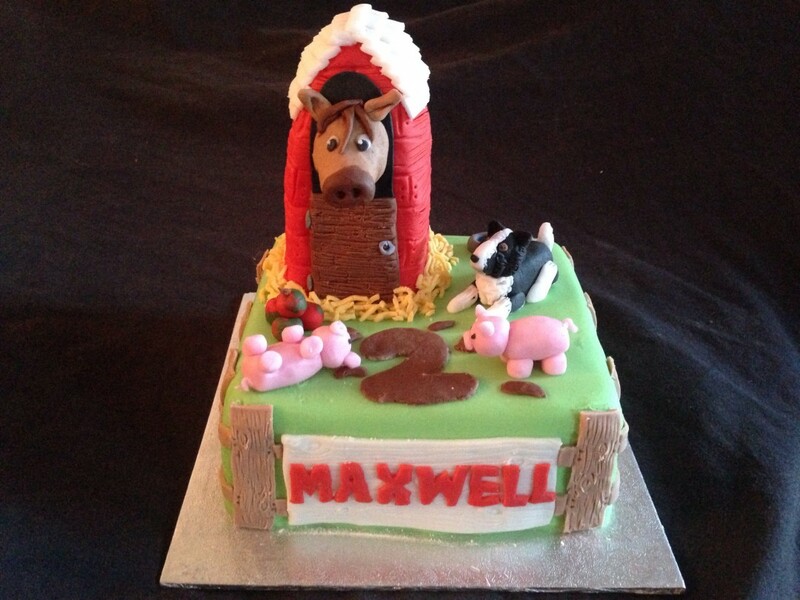 Small farm cake featuring only the favourite animals of the birthday boy. A horse in a stable with surrounding straw, a sheepdog and some piggies rolling in mud. wooden fence as cake edge decoration!